Phil Collyer in an award winning and published photographer who has been capturing images since he was a boy. He has photographed on location in North America, Western and Eastern Europe, Southern Africa, Latin America, Antarctica, Iceland, and even on a tall ship in the mid-Atlantic. 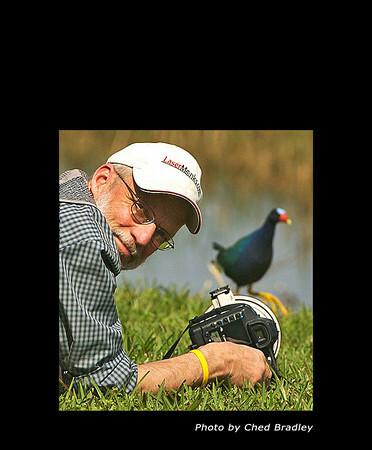 Much of his work centers on unique shots of birds and other animals in their native habitats. From night photos alongside waterholes in Namibia, to aerial panoramas over Chicago at sundown, he captures stunning images that were there one moment and gone the next. He is a geological engineer by education and recently retired as President/CEO from the business subsidiary of a large association in Washington, DC. His talented son, Tim, helped with the technical aspects of building this site.